In these troubled times, many people are avoiding divorce. 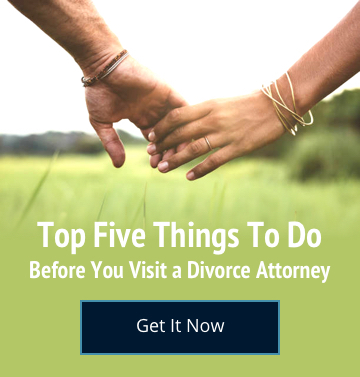 Alternatively, they might attempt to litigate or resolve their divorce and child custody issues themselves. Over the past fifteen years I have practiced as a family law attorney, I have seen many serious problems with divorce and/or child custody cases that were done without an attorney or with pleadings drafted solely by a paralegal. Yet, the issues in a divorce and/or child custody case are of vital importance since they involve children, assets, and debts. Getting the divorce done “right” can make all the difference in the world in terms of successfully moving on with one’s life. I often hear that hiring an attorney to litigate is too expensive, but there is another way to fairly and safely get your divorce and custody case done without going to Court. It’s called mediation and some of the benefits are listed below. (1) Mediation is less expensive than litigation. We’ve all heard of divorces costing over 6 figures – most litigated divorces cost upwards of $20,000 per person. A mediated divorce or child custody action is much, much less expensive. (2) Mediation often produces better results since the parties agree on the resolution. In divorce or custody litigation, a judge who does not know the parties or their children makes decisions for them that may not be agreeable to one or both parties. (3) Mediation takes one to two months, whereas litigation takes four months to over one year… or longer! (4) The parties have much more flexibility to agree upon child support and alimony based upon need and ability to pay. The Court does not have much flexibility with regard to child support since this is set by statute. (5) In mediation, the parties can be taught how to avoid going to Court in the future. (6) Mediation can be therapeutic in many ways, whereas litigation is an adversarial process that often hurts the parties’ ability to work together for the sake of their children. I usually restrict mediation to parties who are likely to succeed in this process. The parties will need to be able to be in the same room with each other and interact in a civilized manner. Each party will need to be up front and honest in a divorce regarding assets and debts as the resolution of these issues impacts the future and any children. Custody also requires honesty about each party’s work hours, and salary. Basically, the parties must strongly desire to resolve custody issues for the benefit of their children. Many of the mediations that I have done over the years involved people such as teachers, nurses, doctors, business owners, military and other professionals. I believe that mediation is a smart alternative to litigation by divorce or child custody lawyers. In mediation, my goal is to educate people so that each person can make an informed, intelligent, and educated decision pertaining to the resolution of all custody and divorce matters out of Court. However, I find that my knowing how to litigate is important to successful divorce and child custody mediation. My litigation experience allows me to know and understand how things will likely be resolved in Court by a good judge and this knowledge is useful for the parties to consider. My belief is that litigation is contrary to successful co-parenting. For the sake of children, parties should not be allowed to litigate their custody and/or divorce dispute in Court until after they have attempted to resolve all their issues in mediation with a qualified and experienced mediator. In other words, if both parties want to avoid going to Court, then divorce and custody mediation wins hands down.